For commercial and residential buildings all around theregion, having a working fire sprinkler system installed is the single most effective means of fighting medium to large scale fires. Expert Fire Engineers provides a full line of fire sprinkler system services from design and installation to inspections, testing, and maintenance. Utilizing our experience of more than two decade in this domain, we are engaged in offering a wide array of Fire Sprinklers System. These systems are designed using premium quality materials with the influence of modern art of technology. Our Fire Sprinklers System is installed in numerous automobile factories, chemical power plants, science laboratories and commercial buildings for safety against fire. Furthermore, we provide these systems at reasonable prices to our clients. A fire sprinkler or sprinkler head is the component of a fire sprinkler system that discharges water when the effects of a fire have been detected, such as when a predetermined temperature has been exceeded. 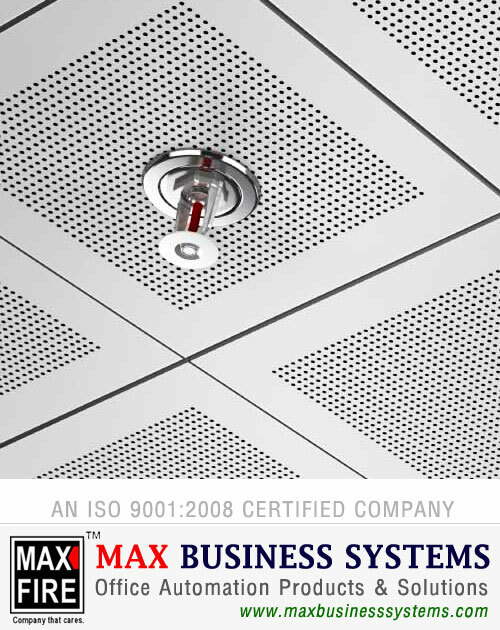 Fire sprinklers are extensively used worldwide, with over 40 million sprinkler heads fitted each year. In buildings protected by fire sprinklers, over 99% of fires were controlled by fire sprinklers alone.